Additional information courtesy of Fishing News. 1958: Completed by Macduff Engineering Ltd, Macduff for John Flett, Findochty as TRANSCEND. Registered at Buckie (BCK75). Undated: Sold to Angus Thomson, Buckie. Registered at Buckie as INTREPID (BCK75). 197? : Sold to Richard Irvin & Sond Ltd, North Shields & others. 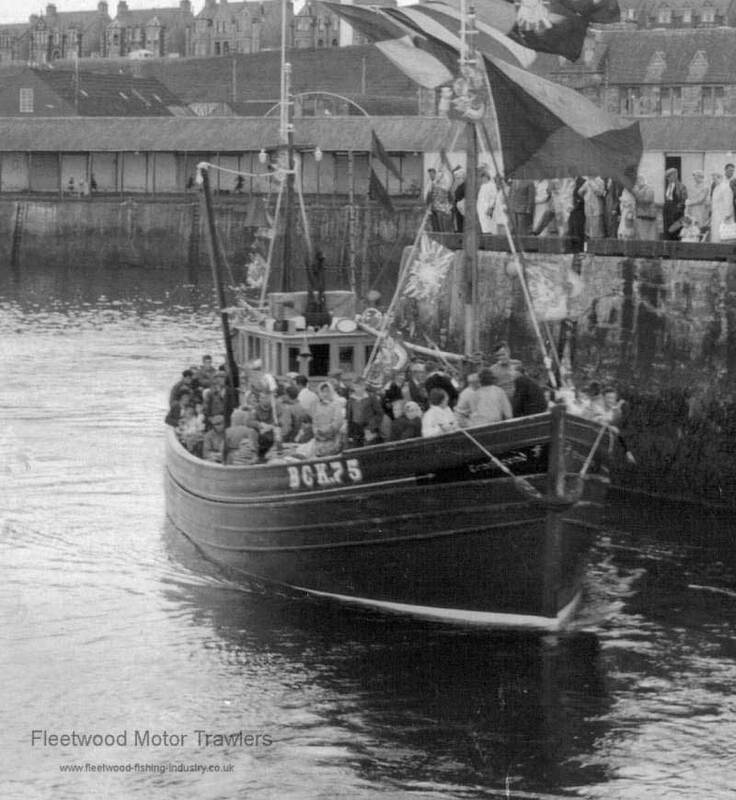 1975: Sold to Ronald Bond, Fleetwood. 1975: Re-engined with 150bhp oil engine by Gardner Engines Ltd, Patricroft, Manchester. 1976: Sold to Alex & John Downie, Oban. Buckie registry closed. Registered at Oban (OB280). 1979: Sold to Brian Cox, Filey. Registered at Oban as CHALLENGE (OB280). 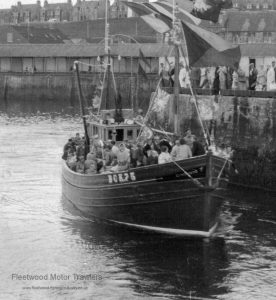 1.12.1988: The Merchant Shipping (Registration of Fishing Vessels) Regulations 1988 – RSS No. A12997. Remeasured 35g 23n. 1996: Oban registry closed. Registered at Scarborough as CHALLENGE (SH263). 2000: Sold to Michael S. Barker, Bridlington. New wheelhouse and converted for potting. 2008: Sold to Trevor and Joan Broadhead, Melton Mowbray. Converted to a leisure cruiser.